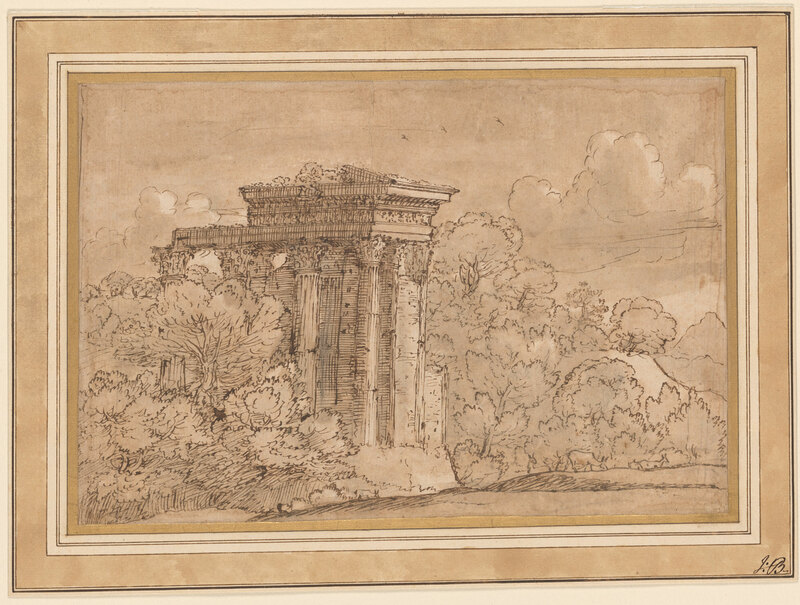 Pen and brown ink and brown wash over black chalk, on paper mostly prepared with a light brown wash; remains of chalk border at outer edges. Inscribed in pen and brown ink at lower right of old mount, "J: B. "; on verso of old mount in pen and brown ink, "J:B No 337./12 by 8. "; in different pen and brown ink, "P. No 18"
Arthur Pond, according to Marcel Roethlisberger (signature "P.N 18" on the reverse of mount; see Lugt 2038); John Barnard (Lugt 1419); Charles Fairfax Murray (1849-1919), London and Florence; from whom purchased through Galerie Alexandre Imbert, Rome, in 1909 by Pierpont Morgan (1837-1913), New York (no mark; see Lugt 1509); his son, J. P. Morgan, Jr. (1867-1943), New York.